Scientists have long studied Alaska’s fast-moving Columbia Glacier, a tidewater glacier that descends through the Chugach Mountains into Prince William Sound. Yet the river of ice continues to deliver new surprises. When British explorers first surveyed the glacier in 1794, its nose extended to the northern edge of Heather Island, near the mouth of Columbia Bay. The glacier held that position until 1980, when it began a rapid retreat. The image series begins in July 1986 (bottom image) with a false-colour image captured by the Thematic Mapper (TM) sensor on the Landsat 5 satellite. The false-colour image from July 2014 (top image), acquired by the Operational Land Imager on the Landsat 8 satellite, shows the extent of retreat after 28 years. Here’s a GIF of the image comparison tool (here on NASA Earth Observatory’s original post) to better see the details. Columbia Glacier expert Tad Pfeffer of the University of Colorado, Boulder, was equally surprised. The ground below a glacier — the bed — plays an important role in determining how much a glacier will retreat. It turns out, however, that it’s not so easy to measure the elevation of the bed. The best information available to scientists had suggested that the bed of the West Branch rose above sea level immediately upstream from the nose, or terminus, which would have slowed the retreat of the branch. 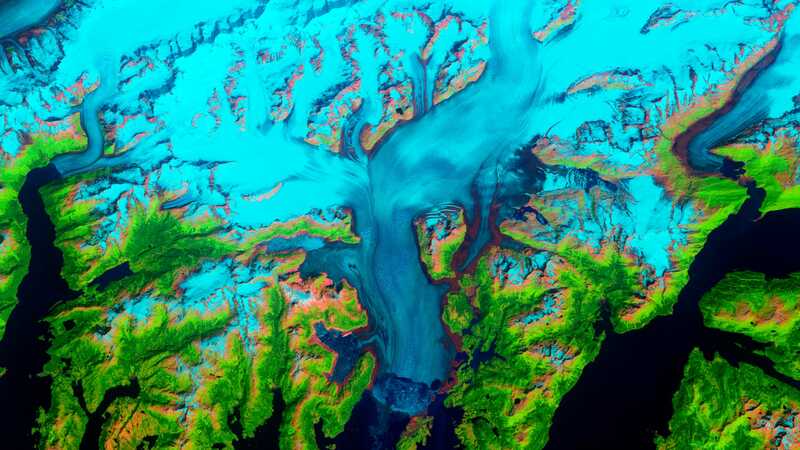 To better characterise recent changes to the Columbia Glacier, Ryan Casotto(University of New Hampshire) and colleagues used ground-based radar to measure the glacier’s speed every three minutes for eight days in early October 2014. Preliminary results show that both the West Branch and the East Branch (which feeds into the Main Branch) are now moving between 5 and 10 meters (16 and 33 feet) per day. That’s slow for Columbia, but fast compared to other glaciers. Meanwhile, the area of the Main Branch hasn’t changed much since 2012, but this part of the glacier is changing in other ways. The October 2014 field research found a connection between the motion of the Main Branch and the region’s tides. “That tells me that the glacier has thinned so much now and has very little traction against the bed, so that even the up and down tidal motion changes how the glacier is flowing,” O’Neel said. The tides are affecting the glacier as much as 12 kilometers (7.5 miles) upstream. The tidal effect only dissipates where the glacier bed rises above sea level and the ice-ocean connection is lost. 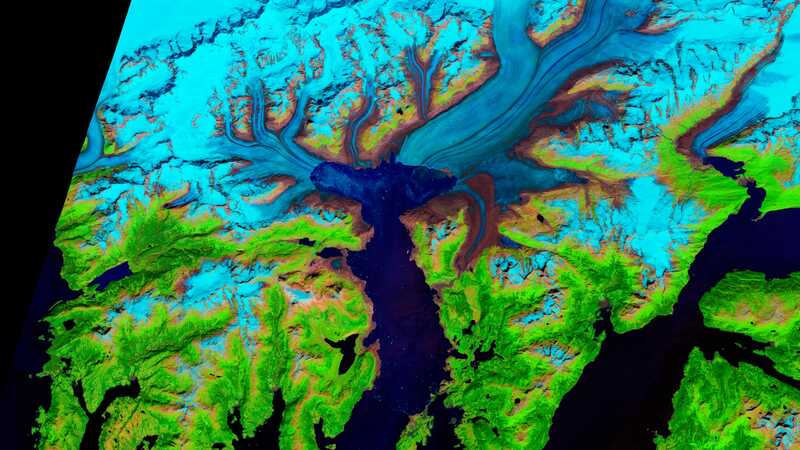 glacierresearch.org (2014) Columbia Glacier Real-time Images. Accessed October 30, 2014. NASA Earth Observatory World of Change: Columbia Glacier, Alaska. Accessed October 30, 2014. Pfeffer, W. Tad (2007, January) The Opening of a New Landscape: Columbia Glacier at Mid-Retreat. Accessed October 30, 2014.